Getting sandy with Marty (a testimonial). Today when Marty showed up for our workout this is what he found. I think he was amused. 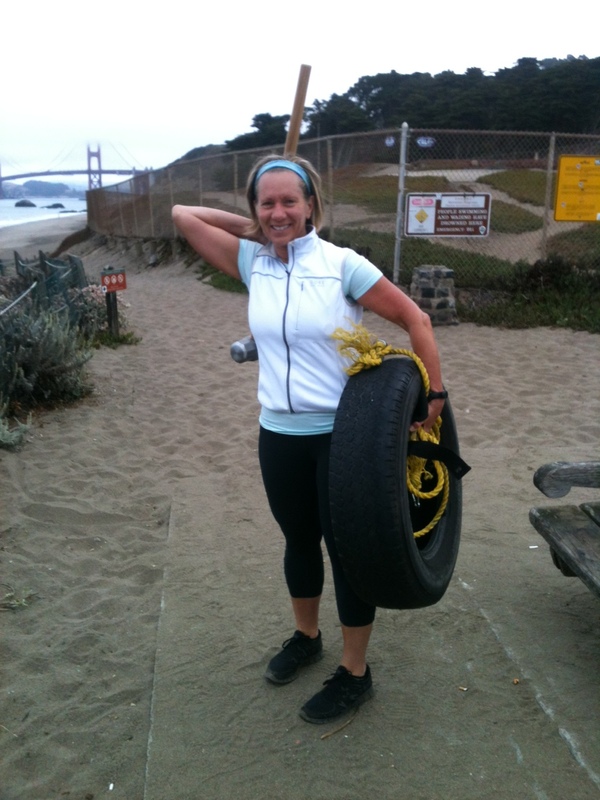 Then I made him: run, pulling the tire in the sand behind him, hit the tire with the sledgehammer, do push-ups off the tire and run up the Sand Ladder (sans tire). Then Marty got lost when I mistakenly told him to turn left at the top of the ladder, rather than right. After that I don’t think Marty was so amused any more. Thank YOU Marty! I’m sorry I lost you today but that’s all part of the fun (I mean my creative design). Keep up the fantastic work! P.s. Dr. B say’s your back is getting better and I bet Heather is digging those big guns of yours! Work it! Categories: Stories | Tags: dr barbara, marty, sand ladder, testimonial | Permalink. Wow. Finally put that big tire to good use! And made Marty WORK for it. Nicely done and congrats!